A legend in the racing world - a household name and captured the heart of lovers of horse racing he was front running, brave and fearless and the world loved him for it. 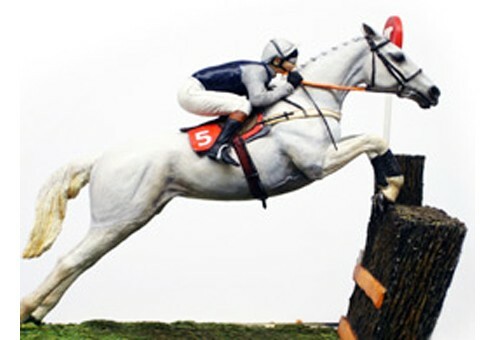 He was owned by Richard Burridge, trained by David Elsworth and ridden by Simon Sherwood. He won the King George IV Chase four times as well as the Cheltenham Gold Cup and Irish Grand National plus many more he had 34 wins from 71 starts. Materials: The sculpture is cast in resin, hand crafted, hand painted. Supplied with a certificate of authenticity signed by the Sculptor.